Help Us Test Alpha 19 x 14 Preview | Nov 4 | We're very close! Alpha 19 x 14 is very close to being the release version of Alpha 19. Please give it a spin and let us know what you think! Any feedback is welcome, but we're especially interested in seeing if anyone runs into major issues or bugs. There are a few known issues currently, but we think it's in pretty good shape. We'll likely release a couple more preview versions to iron out the worst of the bugs, then it's on to our official release of Alpha 19! If you've already opted into the Alpha 19 preview, Steam will automatically update to 19 x 14. Re: Help Us Test Alpha 19 x 14 Preview | Nov 4 | We're very close! I saw a video about it, and I saw that the collision heating is much over what its suppose to be. Earth was hit by the moon, and the earth was bright blue moments later. I don't think that's suppose to happen. When did you see this video? We just released Alpha 19 x 14 this morning, and that sounds like an issue that was in an earlier preview build. We always want to improve collisions further, but we think it looks pretty good right now. There are some temperature issues we're looking into, but it doesn't heat up to the point of glowing blue anymore. It might have been alpha 19 x 13 then. The fragments now need to be spread across the planets surface instead of being concentrated around the point of collison. I feel like the gases, which is known as "rock vapor", should dissipate sooner. Also, whenever the atmospheric composition tool is added, the rock vapor should be a large part of it after a major collison with another planet/moon, instead of it flying around the planet. Nice! My fps problems from the last preview are gone (runs very smooth now), and from what little I had time to check out, it's looking good. Will bring further feedback in a few days when I've had the time to check it out further. Very promising! Anyway, this still looks very promising, and I am looking forward to exploring the preview further when I have the time. and Brown Dwarfs should have a habitable zone, not only do they emit some light, specially the warmer ones, but they can support planets and even have a planet with life near them if they have the right condtions and I mean surface life. I would like it if molten planets would have there own luminosity. A molten Earth might of cooked the near side of the moon and made its crust thin. it then condensed on the far side and made that half of the moon thicker crusted! 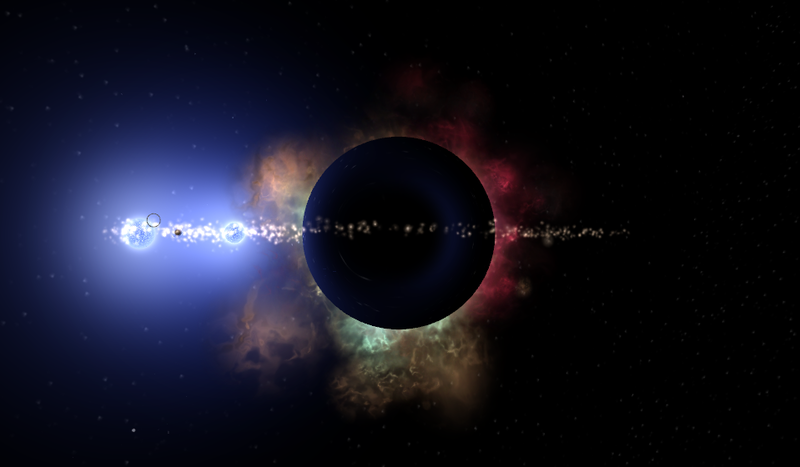 it would be really neat if planets getting absorbed into a star made a sort of "splash" that damaged nearby planets. current collision models do this somewhat, but it doesn't look like a massive splash of plasma. might be outlandish though. Damn guys, you really did well in this preview. I love the new supernova textures, just love it. Although, i had some fps problems in the and they are still present, so i should probably lower my graphics setting.